In continuation with its participation of Ebara Group’s Environmental month last June 2017, EPMEF had made efforts in its small ways to help our mother earth, of course, with the help and cooperation of all its staff. In the month of November 2017, EPMEF had registered in EEG’s(Emirates Environmental Group) project called “One Root, One Communi-Tree”. This is a project where organization either public or private are encouraged to do segregation of waste in their offices to be able to collect recyclable waste like paper, plastic, aluminum cans, mobile phones, toner cartridges and glass bottles. 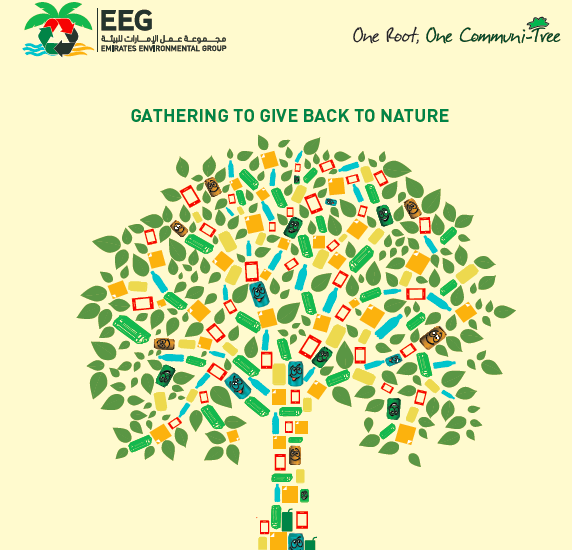 Once a certain target amount of recyclable waste is met, the participating company will be given a privilege to plant a tree under the company’s name in the annual tree planting activity by EEG every December. EPMEF with its own simple ways would like to contribute in helping protect our environment and hopefully also inspire other companies either big or small to start doing their part in a noble cause like this.